1. When should I prune my ornamentals? 3. What is Winter Injury? 5. Do I need a soil test? 6. Do I have to worry about my trees during construction? 8. What is the proper mulching technique? 10. What is Plant Health Care? 11. What is Vertical Mulching? 12. 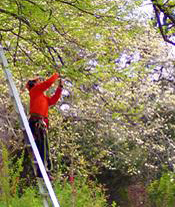 Can a tree inspection or pruning be done in winter?